Bradley Cooper as Eddie Mora. Image courtesy of Limitless. A television show based on a Bradley Cooper-helmed film about a super successful superhuman returned to Bushwick this week for its second shoot in the neighborhood. 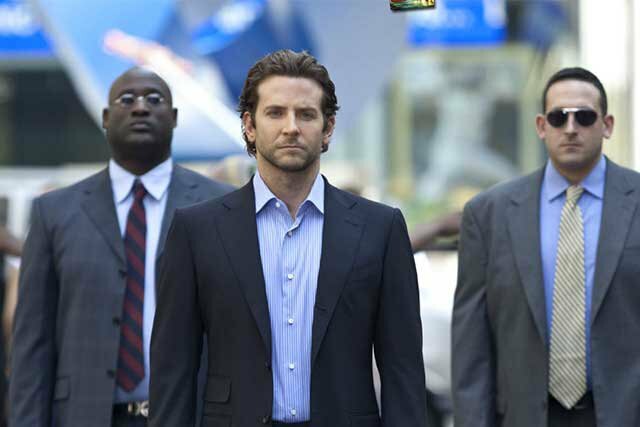 The show, entitled "Limitless," is produced by Cooper, who was the original face of the franchise when the movie was released in 2011 (coincidentally, the film co-starred Robert De Niro, who also recently filmed on location in Bushwick). The show is a spinoff of the movie and stars Cooper's "American Sniper" co-star Jake McDorman as a ne'er-do-well twenty something whose life is transformed when he is presented with a wonder drug that makes him the smartest man in the world and the FBI retains him to help him investigate its most difficult cases. The show's first season is currently airing on CBS after getting picked up this past October. A recent episode thrilled viewers by featuring an appearance by Cooper as his original character, who evolved from a struggling writer into a powerful, corrupt politician over the course of the story arc. According to film shoot location website On Location Vacations, the production was set up at the corner of Cornelia Street and Wyckoff Avenue a few blocks from the Myrtle-Wyckoff Ave station on the L and M lines this past Tuesday. It's unclear from available production details what kind of plot device brings the FBI to Bushwick, so keep an eye out for familiar spots as you watch the series!